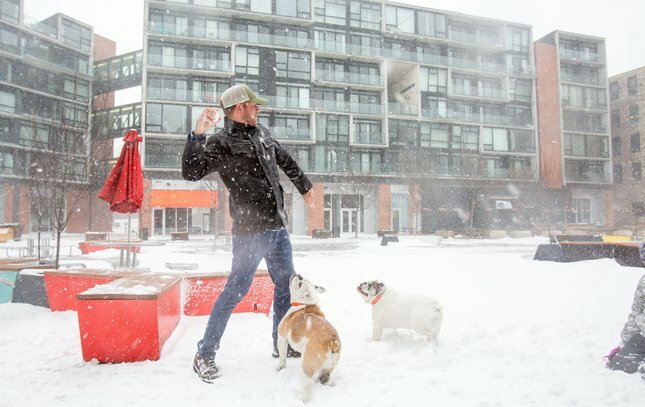 Michael Rothermel of Northern Liberties throws a snowball to his English Bulldogs Mayple and Bryndle at the Piazza during Thursday's snowstorm, Jan. 4, 2018. 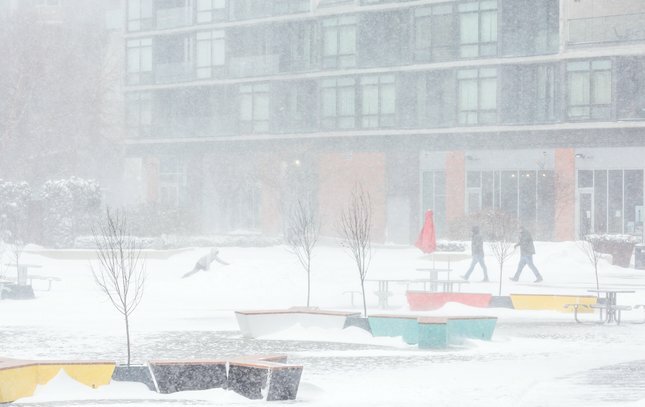 The Piazza in Northern Liberties as seen during a snowstorm that moved through the Philadelphia and SouthJersey region on Thursday, Jan. 4, 2018. 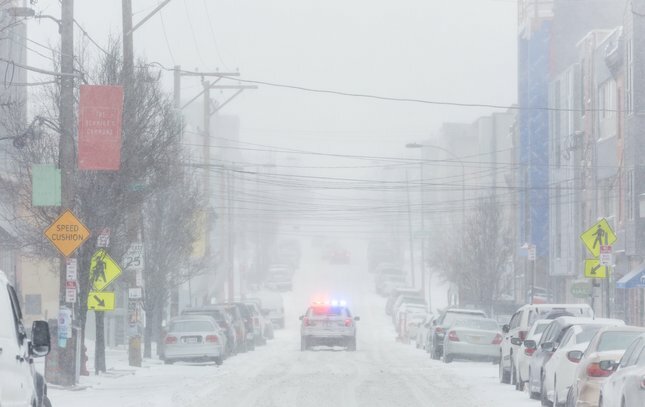 A Philadelphia police car travels south along 2nd Street in Northern Liberties during Thursday's windy snowstorm. 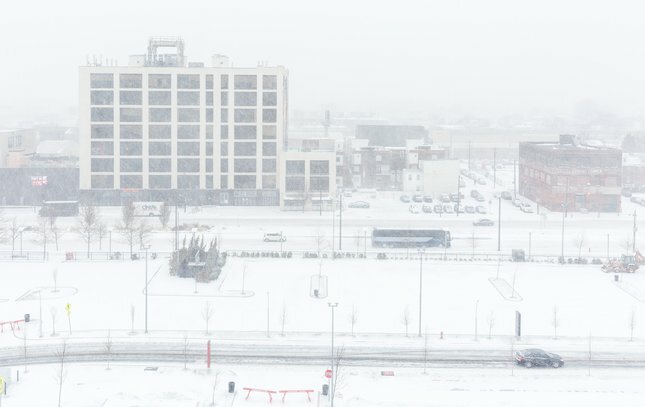 The Sugar House Casino Parking lot had much more snow than cars during Thursday's snowstorm. 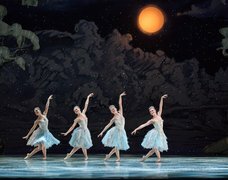 A frozen Delaware River and near the Benjamin Franklin Bridge, Thursday, Jan. 4, 2018. 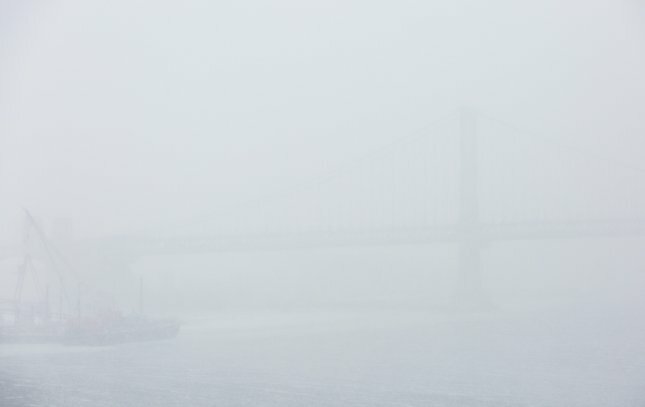 The Benjamin Franklin Bridge was barely visable from a distance during Thursday's snowstorm, Jan. 4, 2018. 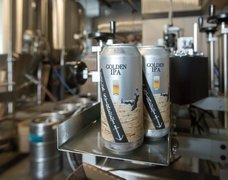 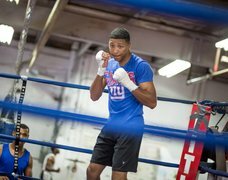 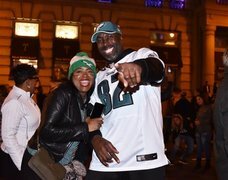 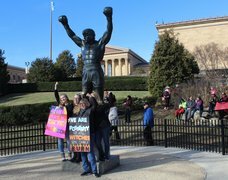 An intense snowstorm slammed the Philadelphia and South Jersey region on Thursday, Jan. 4, 2018. 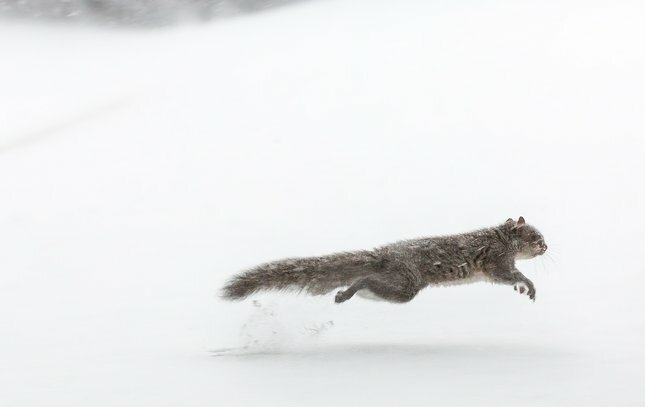 A squirrel leaps through the snow near Front Street in Northern Liberties in Philadelphia during blustery snowstorm, Jan. 4, 2018. 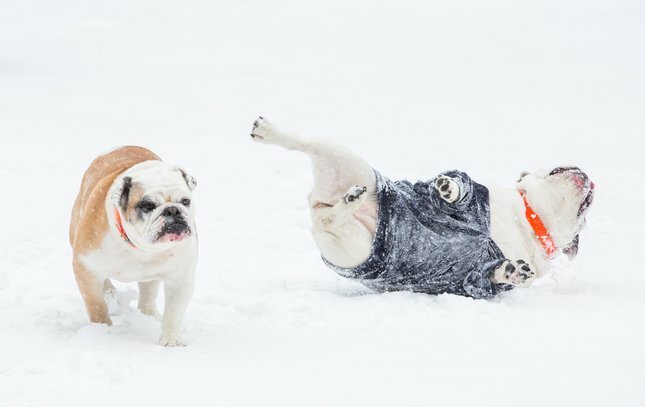 Two English Bulldogs, Mayple and Bryndle, play in the snow at the Piazza in Northern Liberties during Thursday's snowstorm, Jan. 4, 2018. 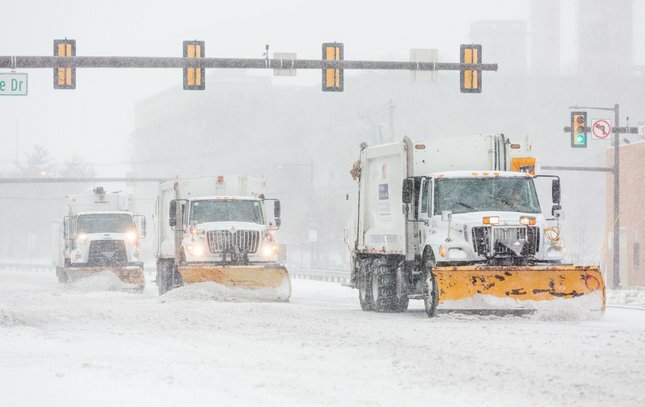 City of Philadelphia recycling trucks plow the southbound lanes of Columbus Ave. Thursday, Jan. 4, 2018. 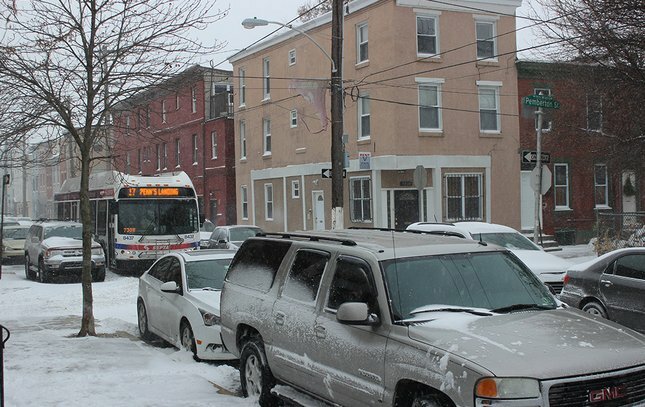 Snow covers Girard Ave. near 2nd Street, as seen from the front windshield of the 15 trolley, during Thursday's windy snowstorm, Jan. 4, 2018. 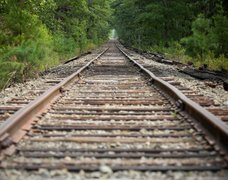 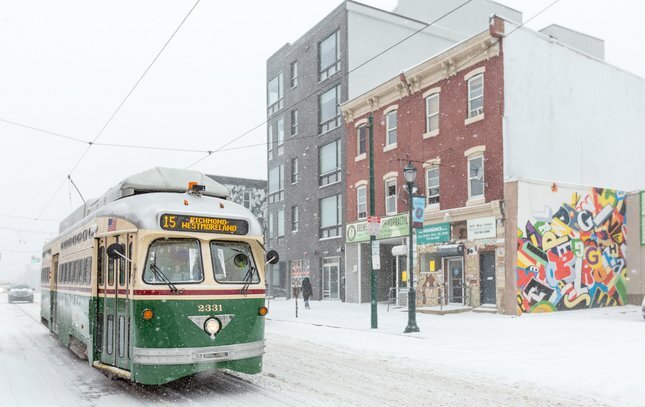 The eastbound 15 trolley near 26th Street and Girard Ave., Thursday, Jan. 4 2018. 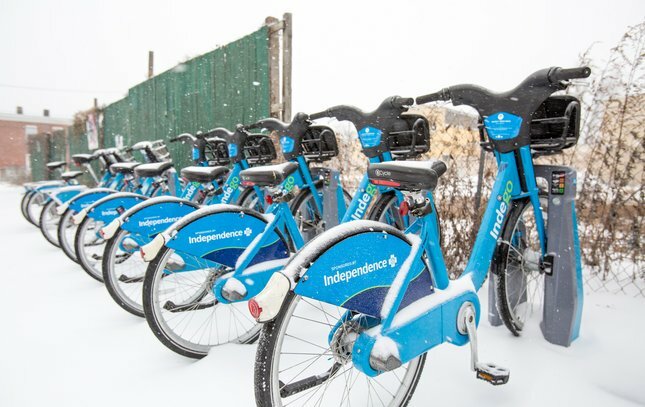 An Indego bike station on Poplar Street in Philadelphia's Brewerytown neighborhood, Thursday, Jan. 4, 2018. 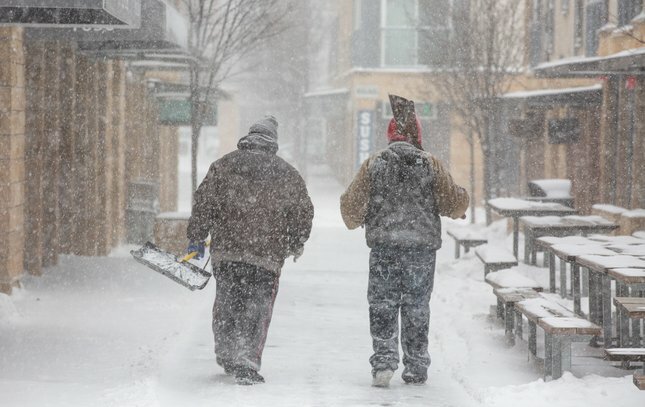 Two men carry shovels on Liberties Walk in Northern Liberties during Thursday's bitter cold snowstorm. 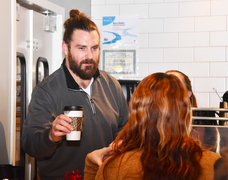 "It's cold!" 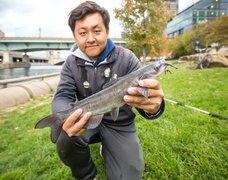 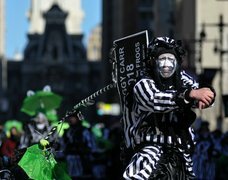 said Joy Liu of Northern Liberties, "I'm just glad I can work from home," Thursday, Jan. 4, 2018. 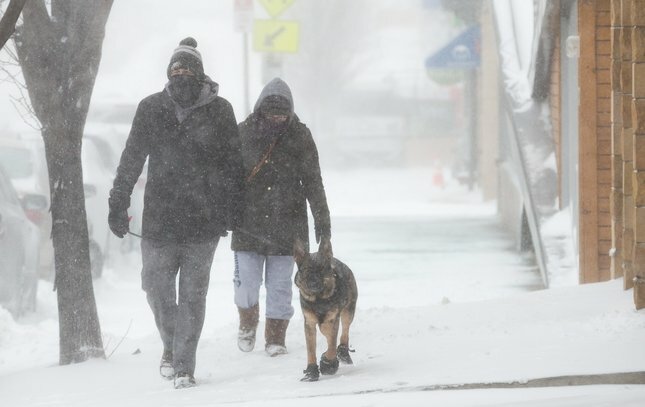 Caitlin and Zach French walk north on 2nd Street in Northern Liberties, Thursday, with their dog Benson during a blustery winter storm. 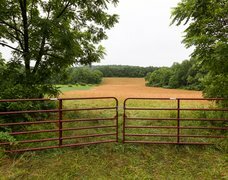 "It's kind of cool, it's like a ghost town out here," said Caitlin. 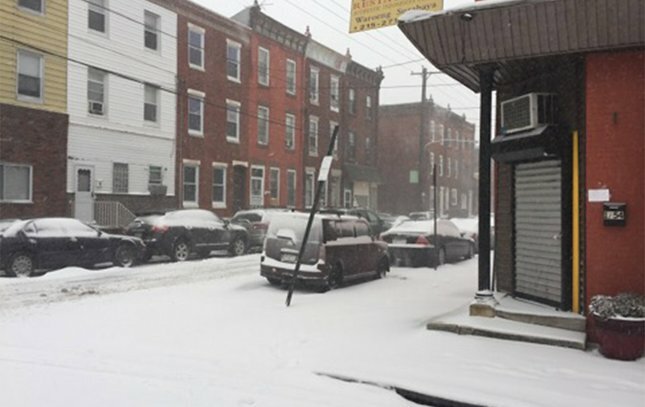 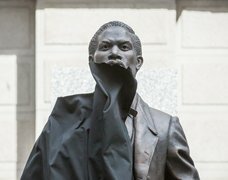 Residents in the Fairmount section of Philadelphia woke up to snow and windy conditions on Thursday morning, Jan. 4, 2018. 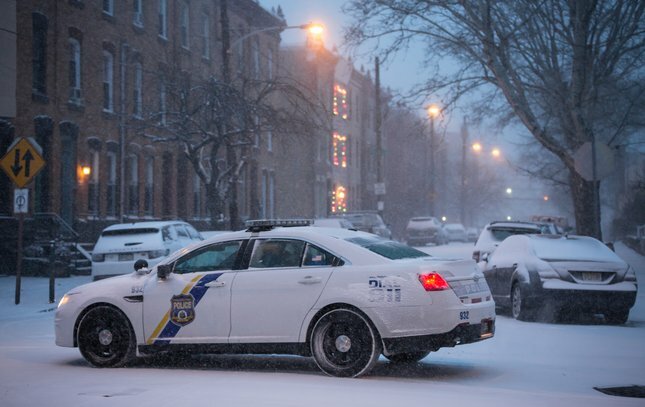 A Philadelphia police car crosses a snow-covered intersection near 22nd and Parrish streets on Thursday, Jan. 4, 2018. 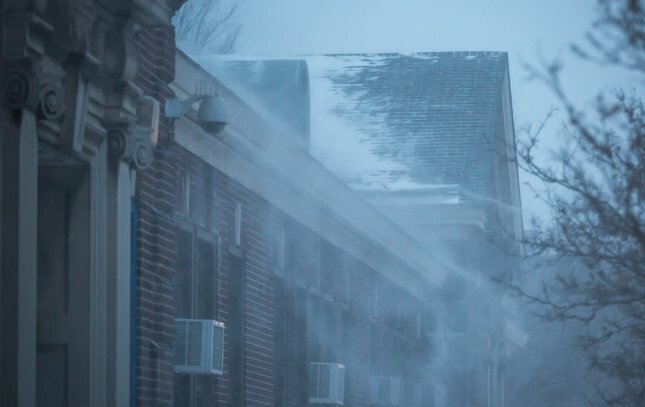 Snow blows from the roof of the Bache-Martin Elementary School in Fairmount early Thursday morning, Jan. 4, 2018. 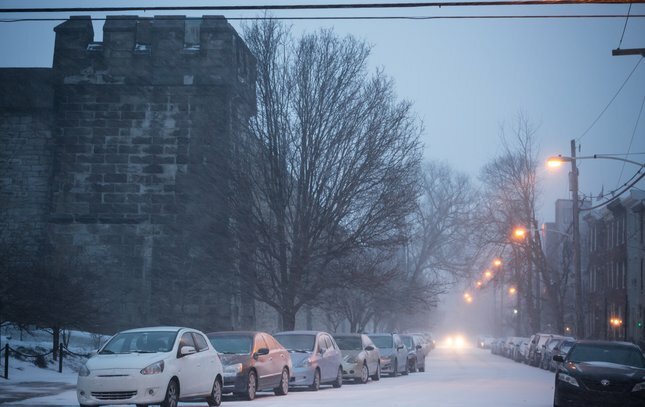 Snow falls and covers 22nd Street near Eastern State Penitentiary early Thursday morning, Jan. 4, 2018. 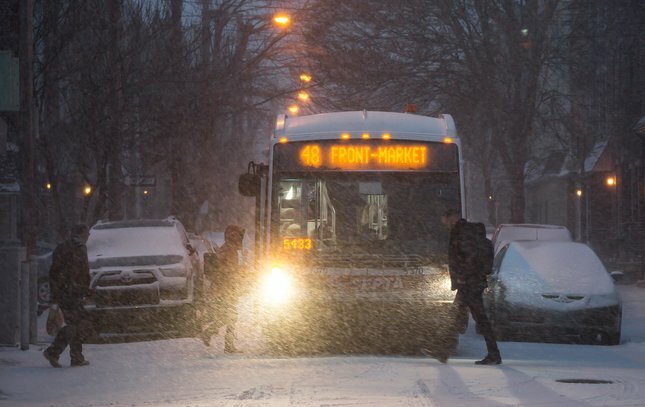 Commuters board the 48 bus at 23rd and Brown streets in the Fairmount section of the city as snow falls early Thursday morning, Jan. 4, 2018. 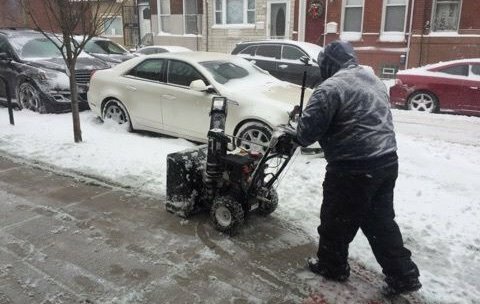 A man plows snow off the sidewalk outside the South Philadelphia Community Health and Literacy Center on Morris Street near Broad on Jan. 4, 2018. 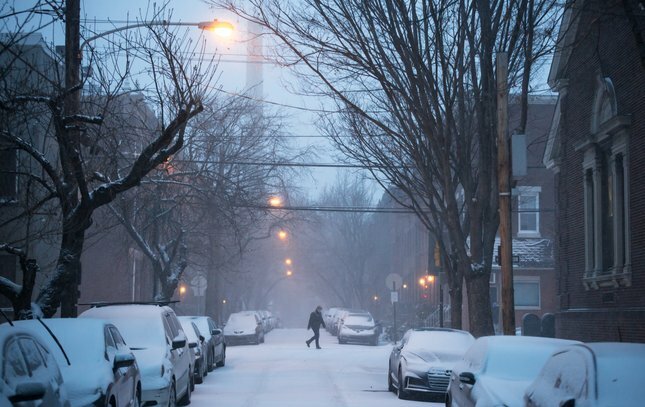 Snow covers the roadway at South Hicks and Moore streets on Thursday morning in South Philadelphia. 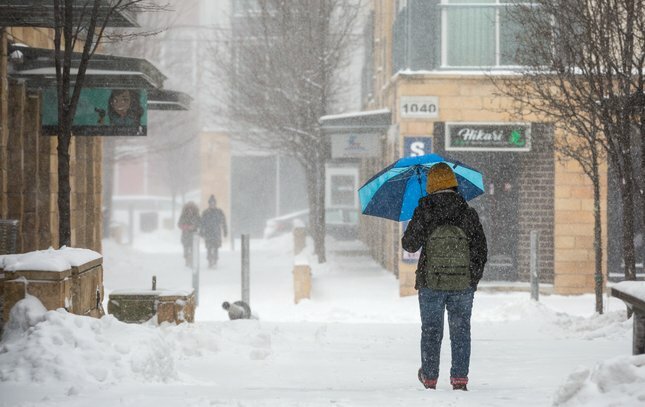 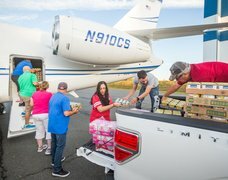 The storm was impacting travel throughout the region. 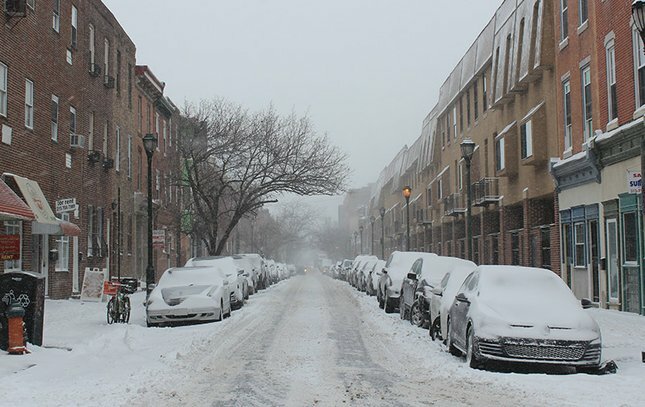 A snowy scene looking west on South Street from South 21st Street in the Graduate Hospital section of Philadelphia. 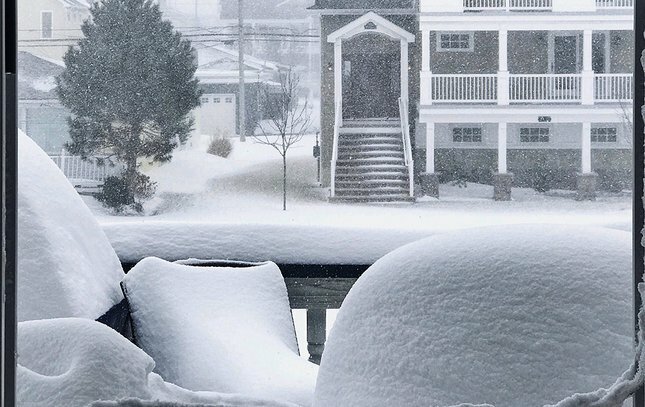 Laurel Noveck took this photo of the deepening snow out the window of her Ocean City, N.J. home. 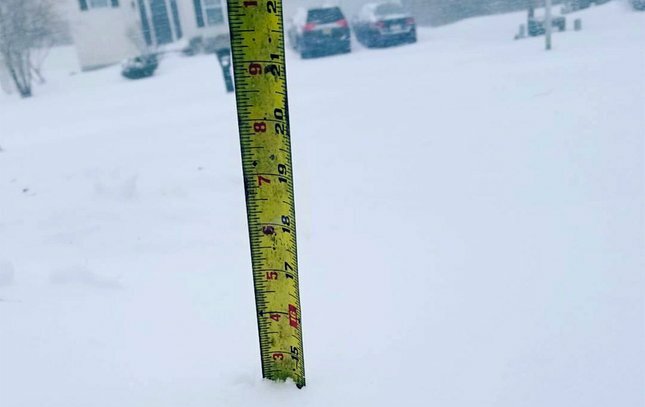 Joanne Carpenter Dougherty snapped a photo as she measured the snow in her yard in Egg Harbor Township, N.J. at 14.5 inches and counting. 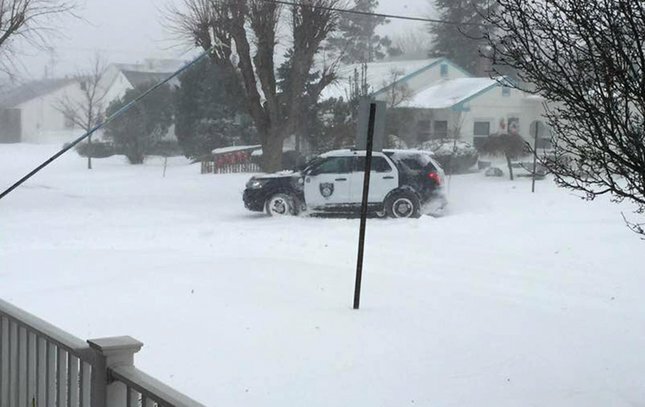 A police cruiser patrols a snowy neighborhood in Margate. 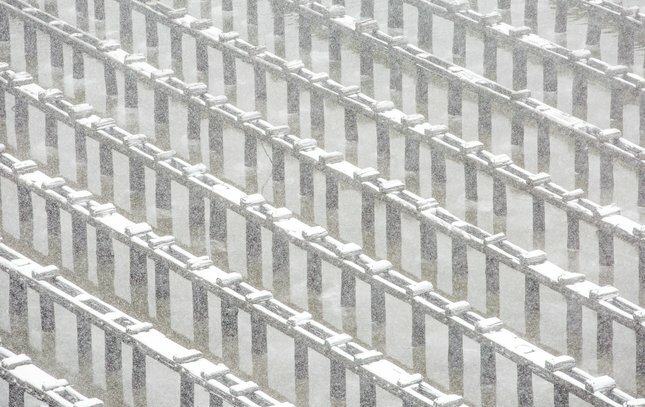 Unofficial measurements indicate at least 14 inches of snow and counting at the Jersey Shore. 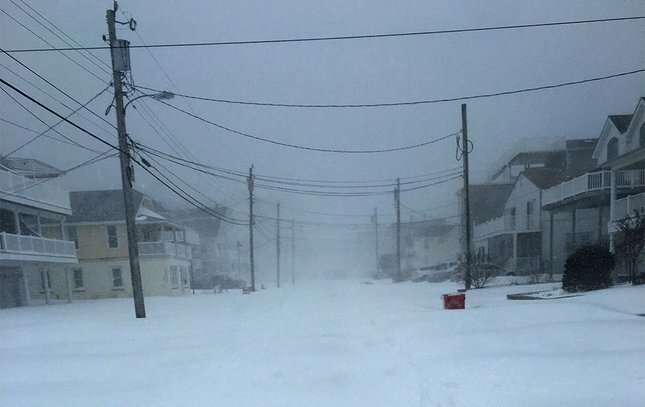 Snow piles up on a Sea Isle City street during Thursday's Nor'easter. 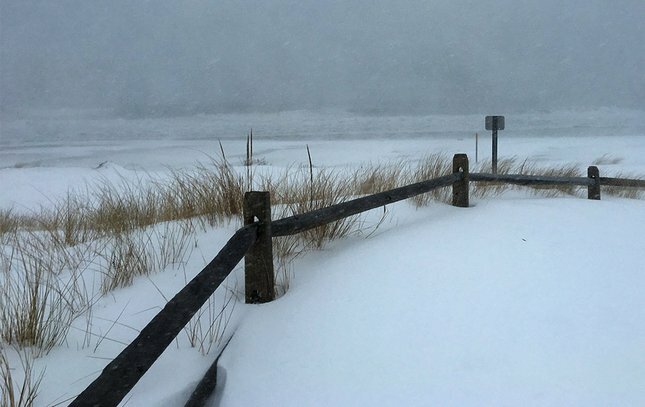 A gray, blizzardy day on the beach in Sea Isle City. 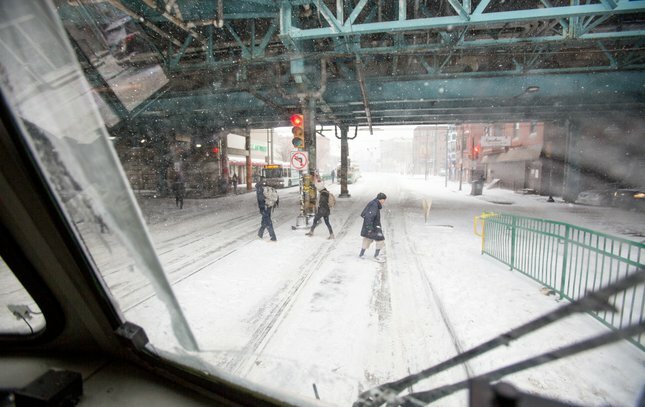 A SEPTA bus navigates a snowy South 21st Street on Thursday in the Graduate Hospital neighborhood of Philadelphia. 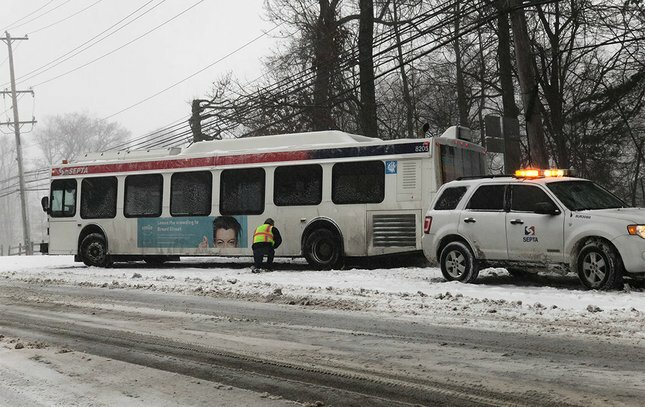 SEPTA workers try to free a bus stuck near Delaware County Community College in Media. 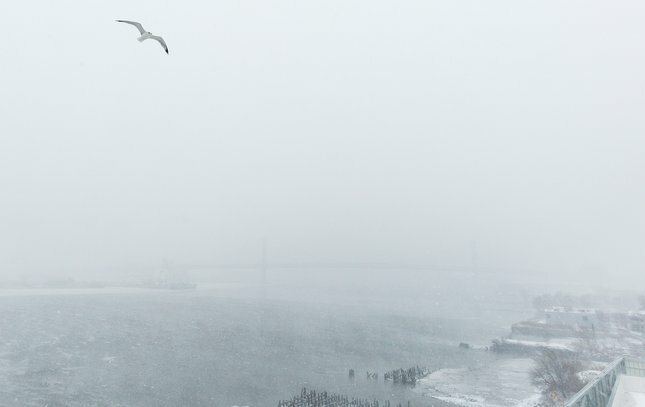 Whiteout conditions – heavy snow combined with steady 35 mph winds – were reported at the Jersey Shore. 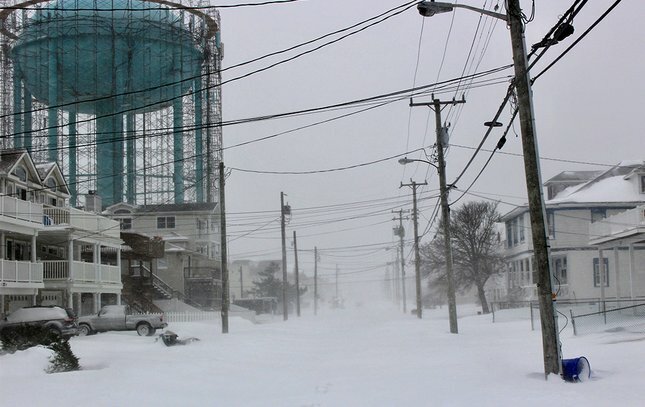 Here is the view up 40th Street, under a shrouded water tank, in Sea Isle City. 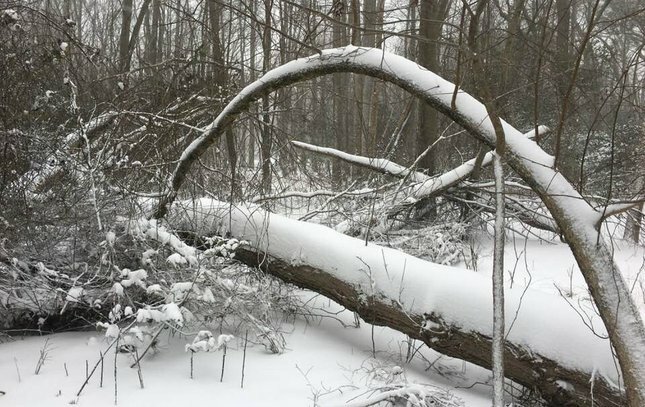 Snow falls on down trees in Shamong Township, N.J. on Thursday, Jan. 4, 2018. 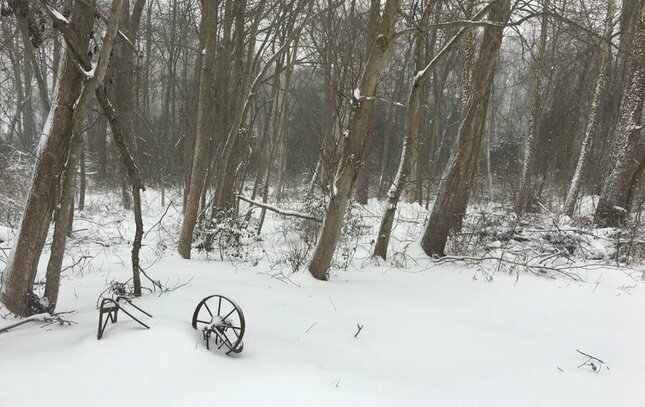 An overturned wheelbarrow rests on the edge of Wharton State Forest in Shamong Township, N.J. the midst of Winter Storm Grayson on Thursday, Jan. 4, 2018. 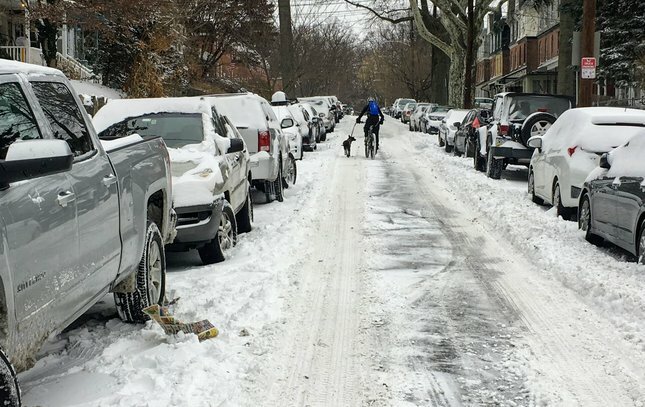 A cyclist and her dog climb the hill on Sumac Street in Philadelphia's Wissahickon neighborhood after the snowstorm on Thursday, Jan. 4, 2018.